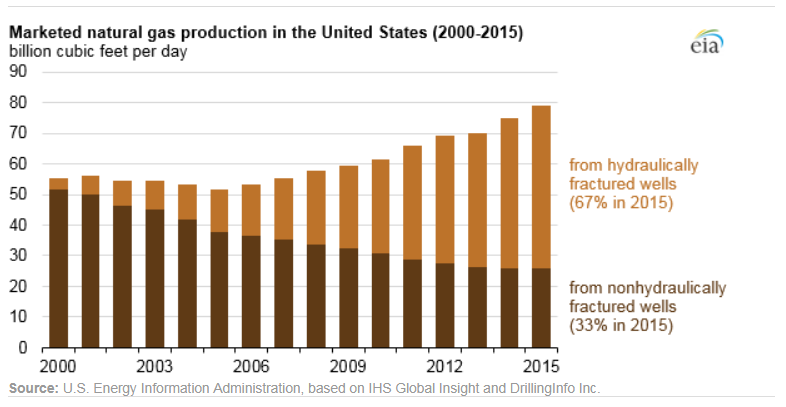 The use of hydraulic fracturing or “fracking” has played an essential role in boosting U.S. oil and natural gas production over the past decade. Hydraulic fracturing has been used to safely extract resources for decades, but there are still misconceptions about the process and how it is completed safely and in an environmentally friendly manner. Hydraulic fracturing is when fluid and other materials are used to create small factures in an underground rock formation to stimulate additional production from new and existing oil wells. Typically, as much as 99.5 percent of the fluid used is water and/or sand. A significant portion of the oil and natural gas produced in the U.S. comes from wells that were hydraulically fractured. According to the Energy Information Administration (EIA), in 2015 over two thirds of U.S. natural gas production and over half of our crude oil production came from hydraulically fractured wells. These numbers have increased significantly over the last 15 years. 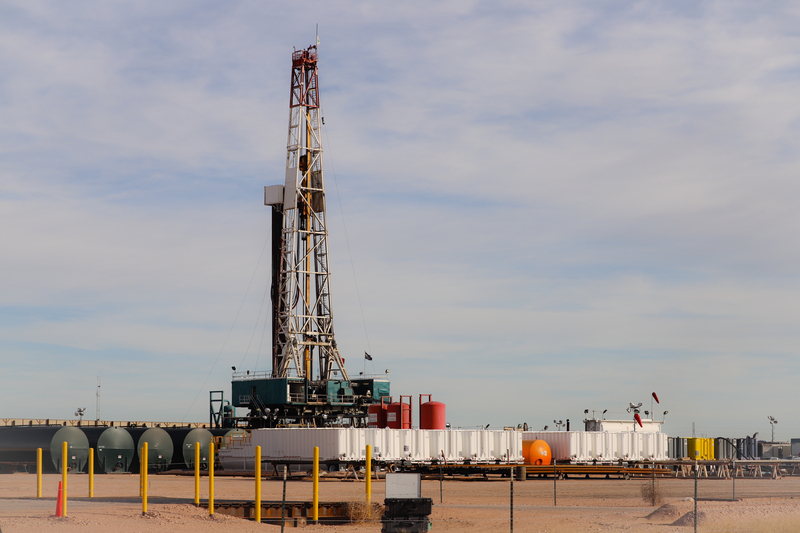 Due to the increase in the use of hydraulic fracturing in the U.S., it is important to understand the steps that operators are taking to protect groundwater and minimize environmental impacts. Hydraulic fracturing has been the key technique used to unlock America’s oil and natural gas resources over the last decade, pushing the U.S. to be the world’s top producer of both oil and natural gas. AXPC members will continue to work on technological advancements in the hydraulic fracturing process that prioritize safety, efficiency, and conservation.